This blog was originally published by The Guardian on 26th July 2012 and is an update of a previous post on this blog. The use of social media in education continues to be something of a hot topic with arguments both for and against. So I carried out a small survey of 27 teaching professionals in order to create a baseline of understanding into the use (or not) of social networking in schools, and also any concerns over some of the e-safety risks. The full survey results can be found here. There are many uses of social media in education – below are just a few of the ways they can be effectively used. • Using Facebook as a ‘broadcast’ account. This is a one-way communication from the school to parents, an information portal if you like. This is a great use of social media for many reasons including: quick, easy, cheap, most parents will have an account, saves on “lost” letters on the way home and also saves on printing costs. • An increasing number of educational institutions are using Facebook pages for promotional reasons. This is another way for schools and universities to market themselves. • Schools are beginning to use Facebook groups to communicate with students. This is a very powerful tool for sharing information and collaborating with students from a safe distance. Facebook groups do not require members to be friends with each other. Members of the groups can exchange files, links, information, polls and videos very quickly. Anytime someone contributes the group its members will receive a notification. If you have the Facebook smartphone app these can be pushed to your device. • Facebook pages can also be used to create a central page for students and teachers to share information. University of Gloucestershire – This is a Facebook Page from my old university. It has a nice cover images and has a lots of links, articles, videos and photos shared on the wall, most of which are generating some discussion. Plenty for current students to get their teeth into. Plus, useful for future students to see what the university has on. Cambridge University – Another good example. Like the University of Gloucestershire it’s very active with plenty to read and comment on. 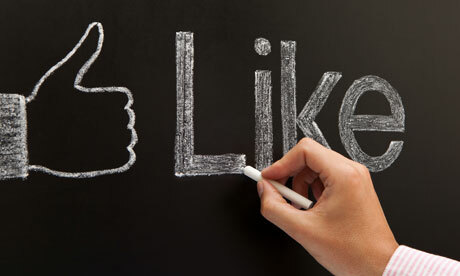 The Page has plenty of “likes” which points students and other member of the community to relevant Facebook Pages. • Teachers have been setting up subject or class Twitter accounts that students can follow. The teacher then tweets information related to their class. Some even set homework via Twitter. Risca Community Comprehensive – A great example of an active school Twitter feed. Varied and informative tweets for parents, staff and students. It is also great to see staff twitter accounts being retweeted. Lots of photos tweeted as well as plenty of tweets from the Head. Clevedon School – Another great example of an active feed. Plenty of information and photos tweeted. Lots of useful tweets letting everyone in the school community what has been going on. iClevedon – This is an account from the Clevedon again. This time rather than a whole school feed it is about the school iPad program. This allows more specific information regarding a subject can be communicated. • Pinterest is becoming popular as a virtual pinboard. It is great for sharing web resources that students will find interesting or relevant. Teaching Central Channel http://pinterest.com/teachingchannel/?d – These are both American boards but they are populated with some very useful “pins”. It shows how Pinterest boards can be used and how great they can be for teachers. Matt Britland – These are my Pinterest boards which I have just started populating. They are aimed at students and teachers. I have tried to split them into categories that students and teachers would find useful. When it comes to September I may create a different board for each of my schemes of work too. We should not shy away from using social media in education but it is clear from the survey that many senior managers are worried about abuse. However, if you have experts in your school they can provide a safe and secure framework for its use; they can create training materials and guidelines that teachers and staff can follow to ensure everyone knows what they can and cannot do. The great thing is that many people know how to use Facebook already, and Twitter is so straightforward it would not take long for people to learn it. If there is no expert in school, seek advice, either from another school or from external expert. I think it’s important to embrace social media as it is the primary way that young people communicate, alongside text messaging and instant messaging. Much of the time we force students down the route of email. Do we do that because it is easier for us? In my experience of using Facebook groups with students they pick up communications far quicker than email. It is obviously not always appropriate to use social media, the important thing to remember is to use it where it seems fit. You do not have to ignore email or your VLE altogether. Ask your students. Would they like to have some way of communicating via social media? If so, what is best for them and the school? Another issue that was raised in our survey was the fact that using social networks can encroach on students and staff members personal space. I can completely understand this and is one of the many reasons for not using a personal profile for Twitter, Facebook or whichever social network you choose. Having this second, professional profile gives the staff member some space. The same cannot be said for the student, as in general they do use their personal account. That being said, the students I have spoken to don’t see this as a problem so long as the teacher is not too “loud”. Twitter could be used to simply share useful links related to teaching and learning. It can be very unobtrusive. As mentioned in the bullet points above the social networks could be used as broadcast accounts. This is perhaps the “safer” option, especially if all communication is outwards to the rest of the world rather than used to respond to questions. Twitter is especially good for this as it can be linked to the school RSS feed. This is a huge time saver and reduces the need to keep tweeting news. However, the Twitter account can still be used for bespoke tweets by the head or nominated member of staff managing the feed. If you are clear in the profile that it is for broadcasting information only, it will not look rude if you do not reply to tweets. Schools also worry about inappropriate use not only by students, but staff as well. Most schools filter social networks which leads to the question that promoting the use of social networks is hypocritical when we do not allow them in school. You could argue that this is true. My personal feeling is that we need to teach both students and staff appropriate use; by banning them in school we are not teaching anyone anything. I am a realist and understand that most schools will not suddenly unfilter Facebook or Twitter for students. However, many students are using smartphones to check their favourite network so filtering them in school makes little difference. In fact, by filtering we have even less opportunity to monitor whether they are being used appropriately. Im really interested in using twitter in my teaching to communicate with students (primarily at first as a one-way information sharing medium but developing intoa twoway teaching tool). I woild be the first person at my school to do this amd the head has asked me to put togther a safe use policy for the govenors to examine. Do you (or anyone else reading??) have advice or examples of similar policies. Many thanks, any advice would be appriciated! Ps l am anly just learning to use twittet so any advice on avoiding potential pitfalls thatI am unaware of would be great! We don’t have a policy as such but we have something in our acceptable use policy that covers social networks and blogs. Although it is not specific about Twitter.